flyboyike I purchased two pairs of these sunglasses, one to keep in the car, and one for my flight kit. 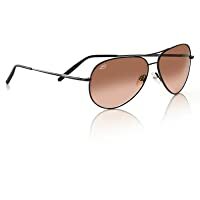 They're great to wear while flying and the photochromic feature really helps under different light conditions. Dr. Jim Nomad, PI I wear these mostly for driving, though they're great for walking around town. These are the kinds of sunglasses you wear when flying a plane or if you're out hunting big game. These shades are something that Hunter S. Thompson would wear, not Mark Mcguire or Paris Hilton. If you identify with HST more than the other two, then you'd appreciate the quality and look of these shades. fancy nancy serengeti are the only sunglasses I buy- I have one pair 25 yrs old and I keep one pair in each of our 3 vehicles. First tried them 25 years ago and they protect me from glare that aggravates migraines. bill serengeti are the only sunglasses I buy- I have one pair 25 yrs old and I keep one pair in each of our 3 vehicles. First tried them 25 years ago and they protect me from glare that aggravates migraines. Don Wear these every day. Best visability for driving. Anonymous Excellent glasses - These are the best sunglasses. I had a pair for years, unfortunately they broke. I was thrilled to find them on your web site, I highly recommend these sunglasses. The JET Very satisfied with the gradient lens. 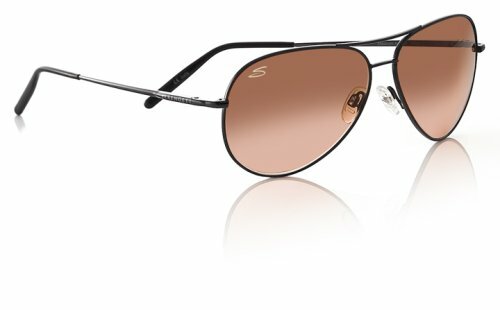 A refined profile of this classic design characterizes the Medium Aviator. All Serengeti lenses offer the latest in photochromic technology, which constantly lightens and darkens throughout the day to ensure you see every detail.